They may be bitter enemies, but Iran and Israel appear to have been cooperating within the boundaries of an international body that has been set up to monitor a ban on nuclear bomb tests. “During the exercise, when we had our round-table discussions or dinner or lunches, you had Iranian experts and Israeli experts sitting at the same table,” Lassina Zerbo, a leading commission member of the Comprehensive Nuclear Test Ban Treaty Organization (CTBTO), told Reuters. “It's not unusual that we see that in the technological field we have people who don't necessarily get together politically but who find things to agree on in the scientific framework,” he added. The CTBTO was founded in the 1990’s and has wide support around the globe. However it is yet to come into force, as eight countries including Israel, Iran and the US have not ratified it. The organization has established a system, which would be able to detect any nuclear test taking place, due to 337 monitoring facilities dotted at various locations around the globe. There are two nuclear monitoring stations in Israel and another one in Iran. However, Zerbo says the one in Iran has been inactive since 2006 because sanctions introduced against Tehran by the West made it difficult to bring in equipment, which would upgrade the facility. Israel, which is believed to be the only nuclear power in the Middle East, has long been suspicious of Iran wanting to build a nuclear weapon. 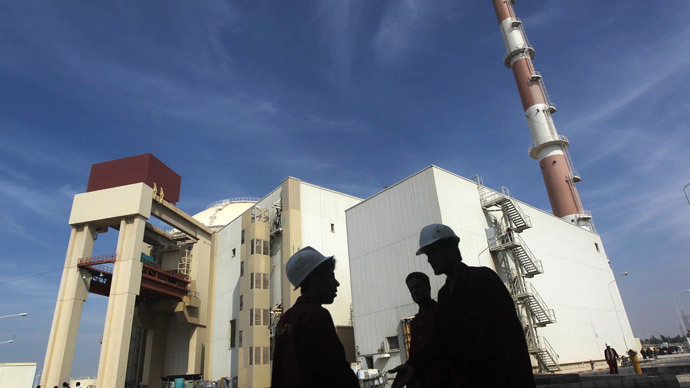 Even a framework deal concerning Tehran’s nuclear ambitions, signed on April 2 between Iran and the P5+1 Group (China, France, Russia, UK, US and Germany) has managed to alleviate Israeli fears. Zerbo says he now hopes he can bring the Iranian side back into the fold and effectively put Tehran on the same detection grid as Israel, thus making it much easier to monitor any potential nuclear activity. Iran has said on numerous occasions that its nuclear program is purely for civilian and peaceful purposes. During the framework deal in Lausanne, Iran gave concessions to the group, which would make it almost impossible for Tehran to build a nuclear weapon, without being detected. If Iran keeps its side of the bargain, Tehran will see the lifting of crippling sanctions imposed by the West. However, Israeli Prime Minister Benjamin Netanyahu says this would be a mistake and on the contrary, sanctions should be ramped up. The White House has defended the US stance on Iran against Israeli criticism, with President Barack Obama calling the agreement a “once-in-a-lifetime opportunity," as he reiterated US support for Israel in the case that it would ever come under attack.